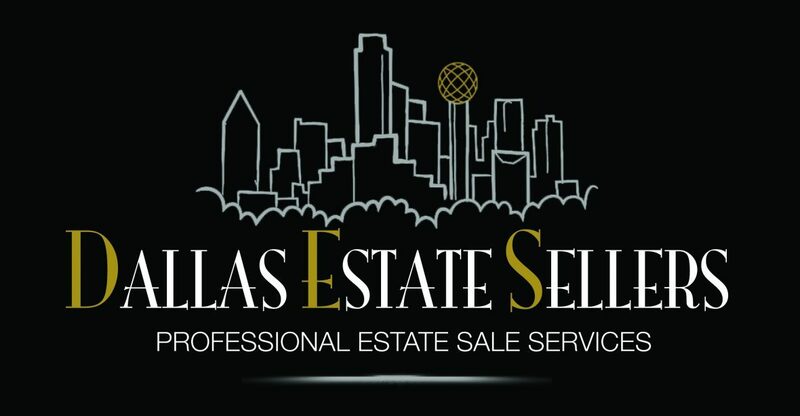 The Dallas Estate Sellers are more than your average estate sale company. Over the years, we have handled every size of estate – from 1000 to 15,000 square feet – and customize every sale to our client’s individual needs. We are committed to maintaining the highest integrity when conducting your sale, which makes us the best choice in estate sale services. We bring our estate sale brokers team in to clean, organize, arrange and display all items to be included in the sale. We will utilize any available shelving, tables and display areas along with any additional tables, shelving systems and display cases when necessary to properly showcase your items to maximize sales. Dallas Estate Sellers will assess, evaluate and research all items to be sold and using current market values, determine the ideal pricing for your items. If there are pieces within your estate that are outside our areas of expertise, we will engage an outside appraiser (at our own expense) to ensure maximum proceeds for your sale. We welcome client’s input/knowledge with regard to these specific items. As estate sale liquidators, it’s as simple as “A…B…C… Advertising Brings Customers” We will arrange for the level of advertising appropriate for your specific sale. Using a variety of communications vehicles such as social media, email, local, regional and/or national estate sale websites and even print via local newspapers when necessary. In addition, we promote your sale on our own Dallas Estate Sellers website, Facebook page and direct to our mailing list of subscribers. Lastly, if permitted by local ordinances, we will put directional signage in the area – helping to guide customers to the sale. As a registered business within the State of Texas, we collect all required sales tax and handle payments to the State Comptroller for you – one less thing for you to worry about! We take appropriate measures to have ample Dallas Estate Sellers staff onsite during your sale to guard against theft or damage. Uniformed, our staff is easy to identify not only to help customers but also “thwart off bad apples.” If requested (or required) we may also hire off-duty Dallas police officers or independent security professionals for your sale. *Video surveillance is also used in areas where high-end/valuable items are displayed. * If requested/required, off-duty police/independent security is at the client’s expense. Though we pride ourselves on the amount of an Estate’s items we are able to liquidate there are typically some items left at the end of each sale. Ultimately all items do belong to you to decide with what to do, but, we can assist with facilitating with a donation/charity aspect or a buyout option depending on quantity or quality of the items that are remaining. The choice can be up to you to schedule at your convenience.